In today’s digitally connected world, there’s a good chance your information has been exposed at some point. From Equifax to Yahoo, hacks and data breaches are becoming a recurring part of our lives. Trying Something That’s Never Been Done Before? Top Tips from Entrepreneur Pioneers. “Tech entrepreneurs who start companies in nascent industries face a whole new set of challenges. Think of them as “virtual hurdles” that they need to overcome to be successful. There is no roadmap to follow, no precedent to learn from. Working in an industry that’s just starting out or not even a thing yet, these entrepreneurs not only have to invent brand new ways of thinking and seeing the world, they also need to convince others to buy into their vision. Below are tips from three CEOs on how they succeeded in an industry that didn’t even exist yet. When it comes to figuring out what is happening in a space or what trends to keep your eye on, there is no better place to go than a massive convention. 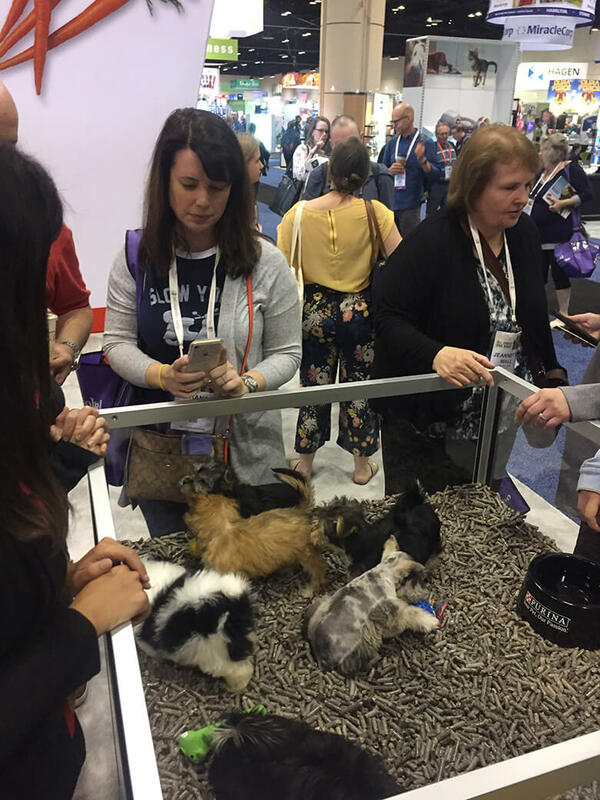 I went to one of the biggest in the dog world, the Global Pet Expo, in Orlando, Florida to see what owners can expect in the years to come – and what companies are betting on. So, here is my take on the expo – including what I saw, what I hated and what I think owners will see in the coming years. While it wasn’t just about dogs – there were also products for cats, fish, ferrets and even chickens – the majority was devoted to pups. And rightfully, so. There are approximately 60 million households in the U.S. that have a dog, 90 percent people think of their pup as more than a pet (meaning more money to be spent) and dogs are living longer. Dog food is no joke. Speaking of dog food, it is going to get more and more advanced. I stopped at the Hill’s Booth to see what its virtual reality experience was about (more of that in a sec. ), and while I was there, I talked to one of the representatives about trends in the dog world. Shown to me was Hill’s line of anti-aging dog food called Youthful Vitality. Yep, there is anti-aging products even in the dog world. The company has apparently targeted what dog genes are impacted by aging and determined that by age 7, nearly all dog’s biology changes. So, they created a dog food that helps fight the effects of aging – everything from deteriorating brain function, immune system and energy levels. I am not advocating for Hill’s, as I don’t what the outcomes are and need to look more into the ingredients, but I do think it is fascinating that companies are getting more advanced in food technology. VR is a thing in the pet world. As for the virtual reality experience, this is what drew me to Hill’s booth in the first place. I was curious how a pet company was integrating VR into its offering – and was it a PR stunt, or was it something really interesting. Surprisingly it was the latter. 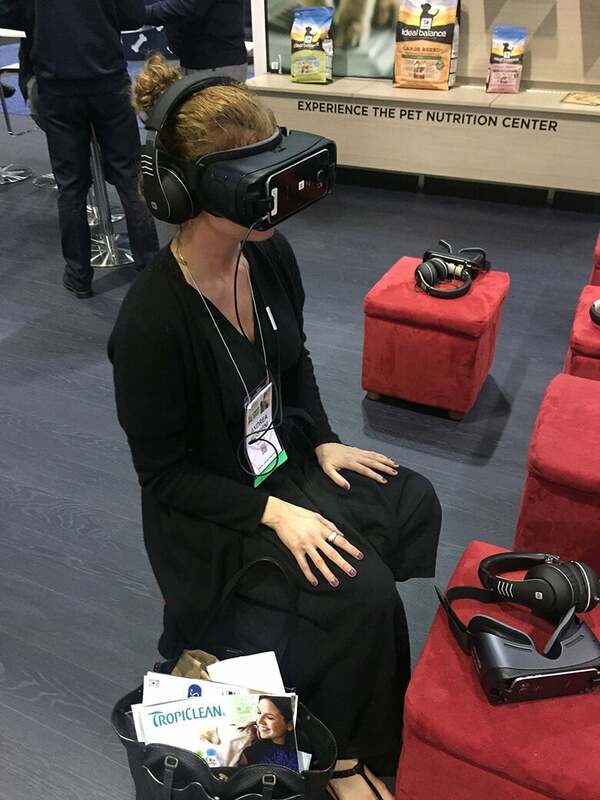 The VR experience showcased what it was like for the beagles that test out the dog food for Hill’s. To be completely transparent, I am skeptical of the big-name dog food companies. Reason? I think a lot of them lack transparency and engage in shady manufacturing processes (just read Truth About Pet Foods to get a better sense). So, when Hill’s VR experience allowed someone to see the facility where these dogs live, I was curious. First, it is on 80 acres in Colorado – and honestly, from the experience it looked pretty nice. The company invests a lot of money in these pups, as they need to be healthy and happy and live just like a dog at home (to gather accurate data of a pet’s natural routine). What this means is they get social interaction, are able to romp around in the sun, choose their sleeping buddies and play with toys. It was pretty impressive. What I was not impressed with at all was Purina. The huge corporation used puppies as a ploy to get people to come over to their already massive (and impressive) booth. Why even use puppies? The puppies (8-10 weeks old, according to an employee) were put in these clear, square blocks at hand level. There were at least six per box. With tons of people passing through, the puppies were touched by hundreds of people every single day. Not only is this germ central for dogs who haven’t received all their vaccinations but also super stressful. I give it the thumbs down. Just like humans are getting in on the cannabis market, so are our dogs. While CBD (cannabidiol) is derived from hemp and other cannibis plants, it does get your dog’s high. (This happens with psychoactive tetrahydrocannabinol, not CBD.) Rather, CBD is used to treat all sorts of ailments –from arthritis to anxiety and seizures. I haven’t tried them out for myself, but from the stories at the expo, along with anecdotes on This Dog’s Life, I am not opposed to it. While it is making waves in the dog world, there are hurdles — one being the name CBD. 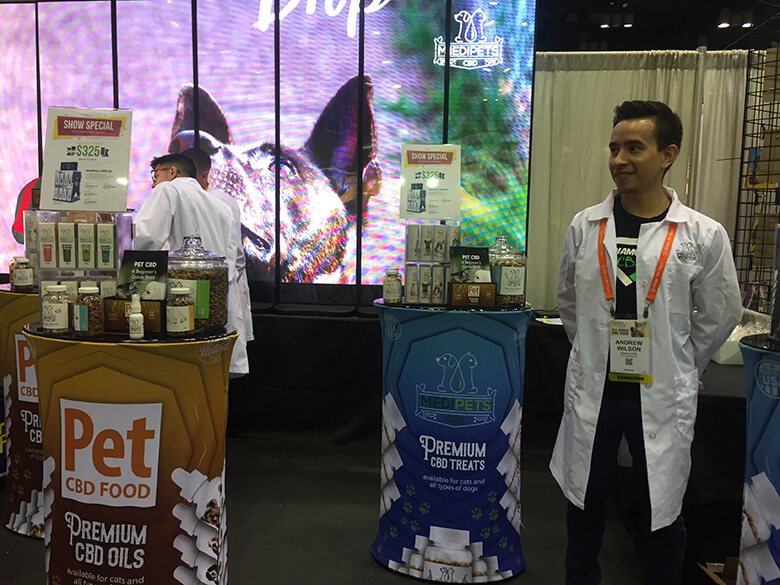 According to CBD dog-treat company Treatibles, a London business is in the process of trademarking CBD, meaning all these other businesses will need to do a complete overhaul in their branding. Dog tech continues to grow. Just like we are trying to make ourselves, homes and cars “smart” by using technology to improve our lives, companies are doing the same thing in the dog world. It used to just GPS tracking on “smart collars.” Then, companies added cameras, exercise and bark monitoring, diet features and more. Now, businesses are looking to make the entire dog experience high tech. 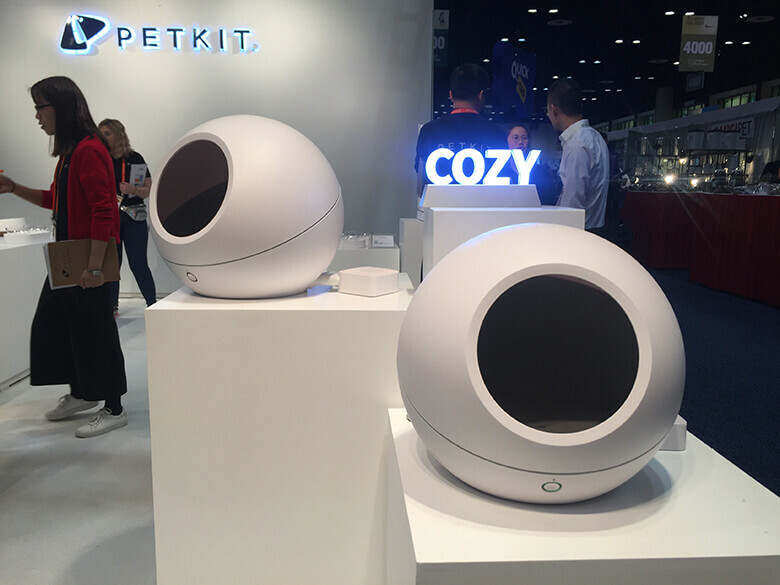 For instance, Pet Kit has tiny dog beds that can be cooled or heated depended on the temperature in the room. It also has infrared lights to track when your dog comes and goes. Or Petzi Treat Dispenser, which allows owners to give biscuits anywhere by way of an app. People can see their pup’s reaction thanks to the camera on the dispenser, speak to their dog through a microphone or snap a pic. And then there is the company that wants to do it all. Wagz, which has been in stealth mode for a few years before releasing a smart collar, is getting ready to roll out its line of smart tech. The company’s slogan is “a completely connected pet lifestyle” — and that is what they are planning on doing. Having raised about $6 million, Wagz created a unique ID tag to attach to either their collar or your own and can connect to its water bowls (measure intake, while also providing multi-vitamins), food dispenser (to feed your dog when you are running late), dog door (for bathroom breaks) and we are guessing much more. 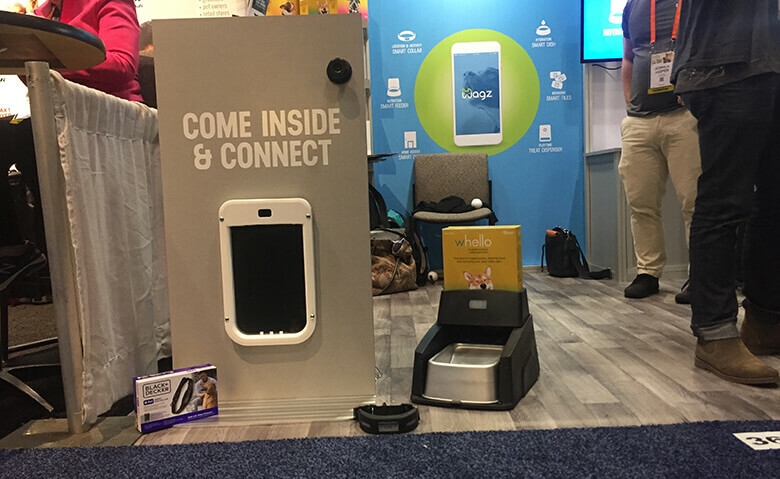 Besides the smart tech capabilities, Wagz is rolling out dog food, too, delivered in boxes, rather than bags, making it easier (and less costly) to ship. 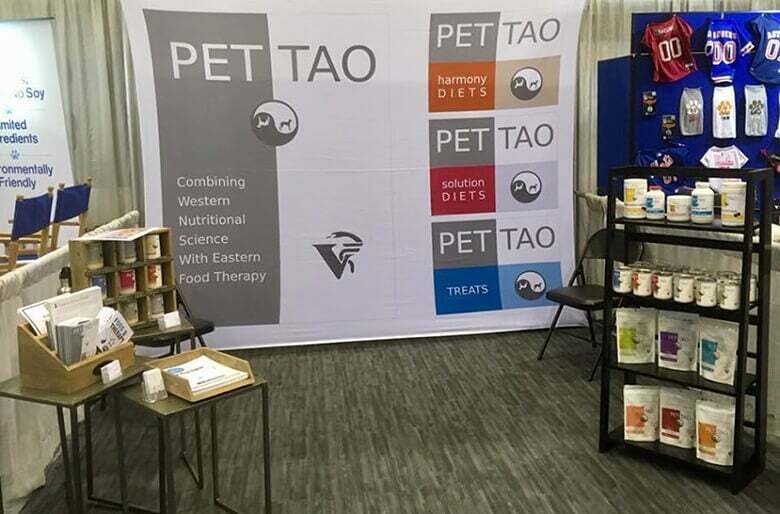 After the show, it seems like in the coming years there will be a lot more transparency expected for brands, along with owners looking for new, innovative and healthy ways to make their dogs’ life better. Most of our national library’s texts are now available online. Whatever skill it is you want to learn, you can read up on it there. Inc.’s own educational site is an amazing resource for entrepreneurs looking to build the skills most likely to help them succeed. 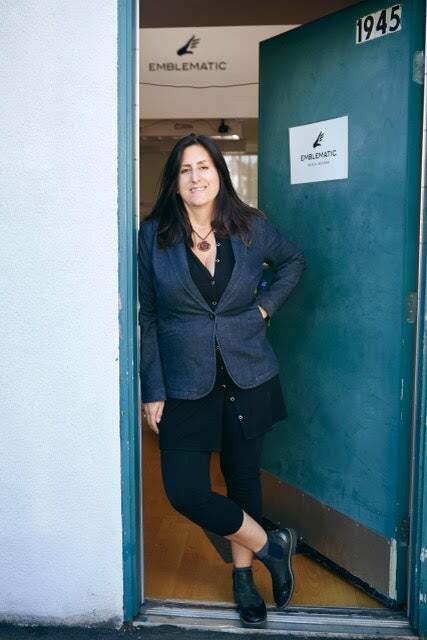 These real-time, live workshops led by all-star entrepreneurs are the best way to cut the learning curve and connect with people who really have the experience to lead by example. Most universities now offer online learning courses in addition to the on-campus lifelong learning programs. Some have established entire online schools, like Colorado State’s Osher Lifelong Learning Institute. If you’re looking for a more traditional educational experience, check out what the universities are offering. Explore the ancient and modern worlds in an incredible online resource powered by Google’s Street View and mapping technology. TED is another fantastic place to find actionable advice and learning opportunities created by genuine, experienced people. I’ve curated my favorite TED Talks for entrepreneurs, leadership training and creativity in business — check them out for yourself. You can also visit TED Ed for its own selection of great lessons. It’s the largest archive of free books on religion and spirituality on the internet. Read up on mythology, religion, folklore, alchemy, parapsychology, and more. See what’s happening in your area and meet up with like minds to learn new skills, often free of charge. Meetups are a great way to trade experiences and learn new perspectives. Critical thinking is an incredibly important skill, but it’s not often taught in public school curriculum. Brush up on your rhetoric, grammar, and logic with Trivium’s free resources. HubSpot, that online marketing software giant out of Boston, offers comprehensive, user-friendly digital marketing courses. Understanding marketing is critical for any entrepreneur, whether it’s a function of your daily duties or not. HubSpot Academy was one of my own top five digital marketing course picks. 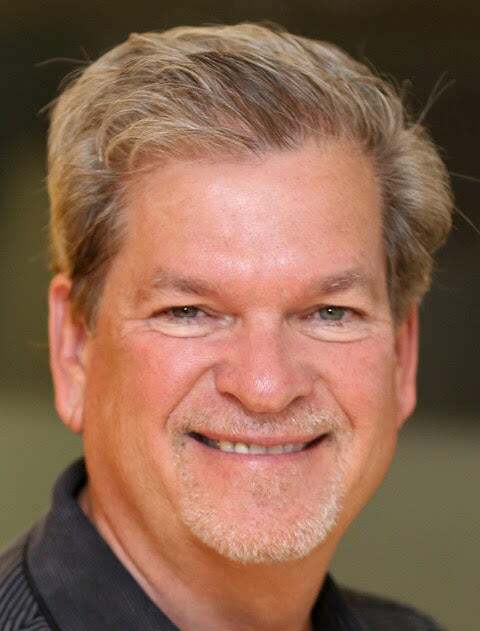 Billing itself as the world’s first non-profit, tuition-free, accredited, online American university, UoPEOPLE offers degree programs in Business Administration, Computer Science and Health Studies. The iconic university offers totally free programming courses, including an introduction to computer programming course that’s fantastic for entrepreneurs and beginners. It was my top choice among the nine best places to learn how to code for free. Inc.com and CNBC put together iCONIC, a three-part conference series that’s visiting my own hometown of Boston on September 22, 2016, after its first stops in Seattle and Denver. On top of the excellent speakers, the networking is an incredibly effective way to learn what’s truly working for dynamic businesses across the country. To succeed, a business-to-business (B2B) company needs a lot of sales leads. You will find it difficult to promote your business and services effectively if you’re lacking a solid list of prospects. Sure, you may get lucky and convert a few random prospects into paying customers, but that isn’t a sustainable business model for long-term success. Instead, get to work on your prospects list, because selling in the B2B space is not as different from B2C as some would have you believe. High-quality, well-thought-out videos can give business consumers all the information they need to evaluate your product or service compared to your competitors’. Videos also promote your brand and knowledge, serving as informational and engaging trend pieces. Videos can be used for various parts of the B2B sales cycle. They can serve as demo videos to accurately show how your service works and why it is beneficial to buyers’ business goals. They can also be used to share client testimonials, showing more personalized results from your product or service. While it may take some time and a lot of thought to initially set up, marketing automation, once it’s up and running, could be a game-changer for you. And, as the capabilities of the technology continue to grow, so too will the opportunities, so there’s no better time to jump in. Cross-selling, on the other hand, suggests that a particular product be purchased in conjunction with the primary product — the suggestion of a scanner when a printer is purchased, or a conditioner when a shampoo is selected. One of the easiest ways to lose your customers is to offer stupid upsells and cross-sells. So, suggesting a cross-sell or upsell that’s completely unrelated will not only frustrate customers — it could endanger your company’s relationship with them. That’s why it’s so important to ensure that your suggestion fits the customer’s exact needs at the very moment he or she is discussing them with you. Pay attention to signals like “I wish I could do X” or “Next we want to try Y”; these are insights into what your customer needs more of to achieve the desired result. Actively listen to people’s needs and desires, determine which of your products or services could help and offer a cross-sell or upsell. Your customers are going to share their impressions and experiences with your products and services via any available channel. Wouldn’t you want access to those impressions? Every single instance of feedback offers you relevant information. When properly used, feedback can make the difference between the conversion, or retention — or the loss — of a customer. A happy customer is a retained customer. By regularly requesting customer feedback via surveys, you can ensure that you keep your finger on your business’s pulse. If a customer becomes frustrated or perceives a competitive offer to be better, he or she will start exploring those other options and cancel your contract or stop doing business with you. These four marketing hacks to amplify B2B sales are not the only way to capture your customers’ attention and get more revenue. There are also pros and cons to each of these hacks. But all deserve your attention because all have the potential to significantly increase your sales. The costliest year on record for natural disasters in the US was 2017, coming in at $306 billion to date. And flood damage from hurricanes Harvey and Irma had a lot to do with the billions of dollars needed to recover. A new infographic by The Water Filter Men highlights the dangers of floods and what you should do before, during and after a flood. In the US, floods are the country’s most costly and common natural disaster, responsible for millions of dollars in damages every year. The key to surviving a flood and recovering quickly is to be prepared, having the right insurance and support system in place. When it comes to businesses, many are not aware standard business insurance doesn’t cover flood damage. In order to protect your business, you have to buy your policy separately through a broker or an insurance company because it is regulated by the federal government. The National Flood Insurance Program provides the information you need for your business and home. Did you know one foot of quickly-flowing flood water can move most cars of the road? And you can be knocked off balance with only six inches of the same flowing water. Before it gets to this point, the infographic recommends people get prepared. It begins by putting together an emergency kit and keeping it where you can get to it quickly. When bad weather is forecast, stay tuned to updates and ask local officials for relocation routes and evacuation centers. You can also prepare your business or home by closing all doors and windows, place sandbags strategically (if you have them), and moving valuable items to a safe location. During a flood, the infographic recommends you don’t get in the water. This includes not walking or driving in it. If you are in a dry and safe place, stay there until help arrives or the flooding subsides. When you return to your business or home after the flood, don’t switch the electricity or gas on until it has been properly inspected. Be careful as you walk around damaged areas since the foundation may have been weekend by the water damage. You should then document all damages for your insurance and keep a clear record of the correspondence with your agent. The infographic has more information, and you can take a look at it below.